Is the Battle for the Rhinoceros on its Last Legs? Southern African conservation of the rhinoceros is severely threatened despite years of intensive preservation effort, mostly by private enterprise and non-governmental entities. Renewed demand for rhinoceros horn, basically a material called keratin, similar to hair and nails, has stepped up the pressure upon Africa’s most treasured fauna heritage. Criminal syndicates are hard at play while African governments slumber. It is estimated that near 95 percent of all rhinoceros horn poached in southern Africa ends up in the Far East. China is often cited as a major consumer nation, yet the probability is that Vietnam may well be more predominant. Vietnam can hardly be proud that she lost her last Javan rhinoceros to poachers in 2010. With Asian rhinoceros numbers now depleted, to shamefully low levels, the East is looking at its new frontier of horn supply, Africa. The principle cause of foreign demand is perceived pharmacological benefit in treating high fevers, influenza, hepatitis, and leukaemia amongst other things, according to ancient Chinese writings. Yet, no medical research in the last 30 years has concurred with these antediluvian authors. Asian rhinoceros horn is considered more potent than that of its African cousin and commands a five-fold higher price too. Alas for Africa, superior horn from the now critically endangered Sumatran and Javan rhinoceros, the latter disgracefully down to a mere world population of just 30 animals, is nearly impossible to acquire! Africa is not just victim to this effect, but catalyst to the cause as well. The ‘great white’ hunters of the late 19th and early 20th Centuries set a poor precedent in animal slaughter, but poverty would, today, seem a principle cause. This is a by-product of Africa’s heritage and political mismanagement; the doctrine of want, greed and destruction; conflict and warfare; and all the apparent misdemeanours of post-colonial government. Such poverty has presented opportunity for both indigenous poacher (who would never benefit from the live animal in the wild) and foreign trafficker alike. Africans have been far too passive in controlling the poaching scourge. Inadequate policing; ineffective legislation; poor conservation awareness and consequent pittance budgets are germane. Misdirected land policies; political attitude with hapless foresight in the face of many other priorities, usually brought about by greed, patronage, corruption and incompetence, contribute to poaching successes, trafficking wealth, and foreign demand. Trafficking rhinoceros horn has become a lucrative business, so much so, that even the official keepers of Africa’s wildlife heritage are succumbing to its temptations. Your average poacher has stepped up the sophistication ladder too, armed with high powered rifles; state of the art darting equipment and specialist sedative drugs; chain saws; night vision instruments and helicopters as well. Often, the horn ‘reaping’ resources of criminal syndicates far ‘outgun’ those of the protectors. It has become a no win situation for Africa. Trade in African rhinoceros horn is becoming so lucrative that opinions in some parts of the conversation camp are turning towards legitimising its trade. To some, that would be akin to decriminalising drug trafficking because the problem has become too large and too hot to handle. A few thousand rhinoceros in the wild are hardly likely to service the demand of a quarter of the world’s population. Massive breeding and livestock rearing programmes would be needed: something way outside the capacity of ‘developing world’ coffers and way down the priority list too. The scale is just too immense, besides poached horn is free, or at least cheap. Pertinently, Africa can hardly feed itself, yet alone nurture its wildlife. Can Africa look to its Eastern horn market for help? Strange as that may seem, Asia, being the principle source of demand, has not seen fit to properly conserve or indeed escalate or ‘farm’ its own rhinoceros populations to service horn demand. Why should they? The ease with which Asia has managed to supplement dwindling supplies of, albeit less powerful, horn out of Africa should be ringing bells loud and long for African politicians. Conservationists have been tolling these bells for decades. Zimbabwe’s Campfire programme has long identified the need to allow poor rural communities, the have-nots, to be rewarded and benefit from their wildlife heritage through conservation projects alongside the wealthy. Could African communities, using Campfire styled strategies, benefit from massive rhinoceros breeding schemes and how effectively could governments protect their efforts if they did? It seems that this has been left to private enterprise, which is actually stifled by regulatory control against trading the horn they reap from living, rather than slaughtered, beasts. Little doubt the debate will continue, but swift action is now the only hope. In the meantime, Africa’s rhinoceros populations are on the decline, being decimated, following the Asian trend. Clearly, Far Eastern nations, responsible for the destruction of African fauna, need to play their critical role in controlling illicit trade, yet that outcome is remote. That leaves the issue squarely in the hands of poorly resourced Africans. It does not bode well for the rhinoceros, short of implementing some rather draconian measures. How does one expect African governments to fair against illicit horn syndicates when more powerful and better resourced nations have failed against the drug cartels? The other option is to succumb to legitimisation of trade in horn. That will only enhance our acceleration towards extinction of the species because, seemingly, Africans lack the will and capacity to change and have run out of time to alter their course. That’s really a shame – thanks for the blog. It’s a shame the ignorance and greed of humans may drive many species to extinction. Any conservation should not be given up on, to stop and say “well that’s enough” and to stop trying would start a rolling tide. It would be a sad day indeed for a child to see a picture of the rhino, and ask the question “what animal is that!” A proper concerted effort to preserve this wonderful animal is what’s required and if the affected countries cannot protect/police then assistance should be given, and better schemes put in place. Very good article! I’ve posted links to Facebook and Twitter. As always, a ‘good read’ Andrew, nailing the problems square on.Sadly, it would seem, by the time ALL see the problem, too late- No Rhino’s left!! Yes, poor rhino, it is indeed a very sad story. Unfortunately I consider it too late now to consider opening trade in rhino horn, as a means of trying to lower the market price, thereby making it unprofitable and not worth the risk, for both the poacher and merchant – there are just too few rhinos left and this alone will ensure that both the demand and market prices remain high. 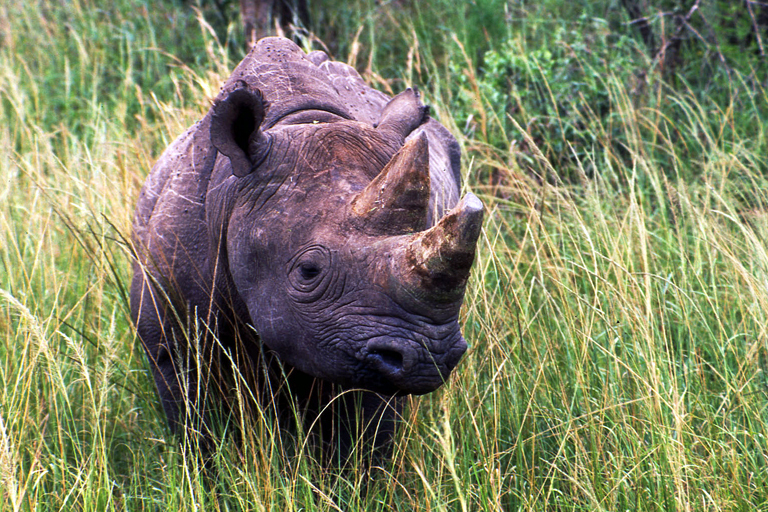 At the rate they are going, the rhino will be extinct in Africa within the next 20 years. As I see it, the only remaining hope for these unfortunate beasts is to ship the last surviving specimens abroad to places like the US or Australia, where they will be placed under PROPER supervision and protection and allowed to multiply. Based on what we see going on right now, I do not consider even one African Government reliable or responsible enough to protect the last few remaining rhino. Reblogged this on Picky Kim. Fantastic post. Thanks for the insight into this issue. Very sad though. I do hope the situation gets better………!! The GLOBAL consciousness average is still below INTEGRITY level and in many parts still has not changed since the time the last AVATAR walked the earth. All the best, thank you for your efforts and care. Andrew, thanks a lot for sharing.